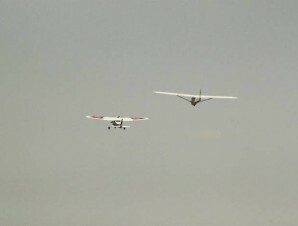 MAY 20, 2012 DENTON, TX — Cadets and senior members of the Civil Air Patrol squadrons in Denton and Wichita Falls headed to Bishop Field, just west of Denton, for an the opportunity to fly without power during a Glider Orientation Weekend. On Friday the tow pilots and glider pilots conducted their annual check rides to get ready for the Cadets to arrive on Saturday. When they arrived that Saturday morning, the cadets were given a briefing by the squadron’s Deputy Commander, Lt.Col Bryce Herkert and by 9:15, the gliders began to soar in the warm, Texas sky. 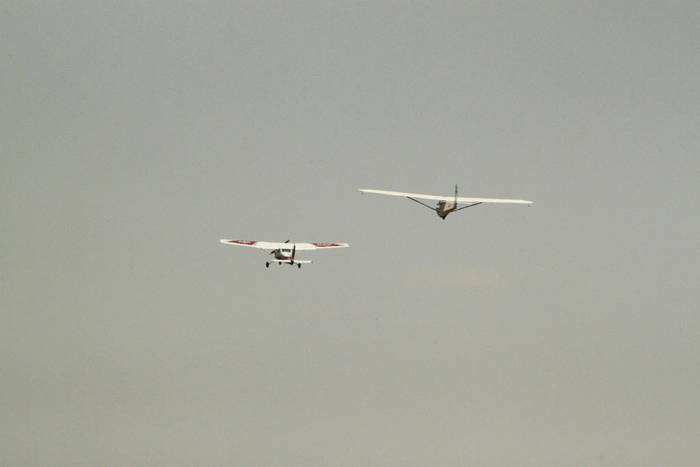 For several of the cadets this was the first time flying at the controls of a glider, and for some, their first time ever in the sky. 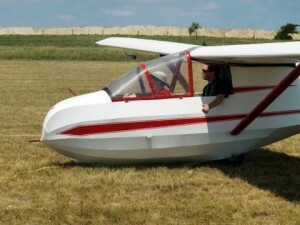 In all, 17 cadets received orientation flights in gliders provided by CAP and Lt Col Tom Bishop, the owner of Bishop Field. “The Cadets learned a lot about teamwork and situational awareness, safety and getting along with others,” said Major Steve Robertson, the Commander of the Denton squadron and one of the tow pilots. The Nighthawk Composite Squadron is located at the Denton Municipal Airport and it’s over 100 volunteers provide air search and rescue services and disaster response to local, state, and federal agencies. The squadron has a large and active cadet program which offers those 12 – 18 are introduced to aviation through aerospace education, leadership training, physical fitness and character development.